If you are one of those who loves trying and cooking different dishes or food items, then you must have heard about the golden thumb rule. The rule state that any food needing refrigeration must never be kept at room temperature for more than one hour, or utmost of two hours duration, before serving it to your guests. So, whether you are an experienced or a new cook, having ThermoPro TP03A can always prove as a great asset. Any act of baking bread, oven roasting, barbecuing meat, can all be enhanced just by focusing on temperature accurately. Apart from taking care of ingredients, we add in the food; you also got to be very calculative in deciding the time like when it need to be taken out of the flame or if it needs to be a freeze. How will you know when the time to do such treatments is? These days, famous chefs are using such food thermometers to find food temperatures, because they want to serve the best food while maintaining the flavors and quality of the food. Here’s a ThermoPro TP03A review to help you make cooking pleasurable. Now no more guesswork while cooking meat, seafood, poultry, casseroles, and egg dishes. You will delight that your foods have been cooked to perfection. Just with one touch find out the correct temperature in 4-7 seconds. 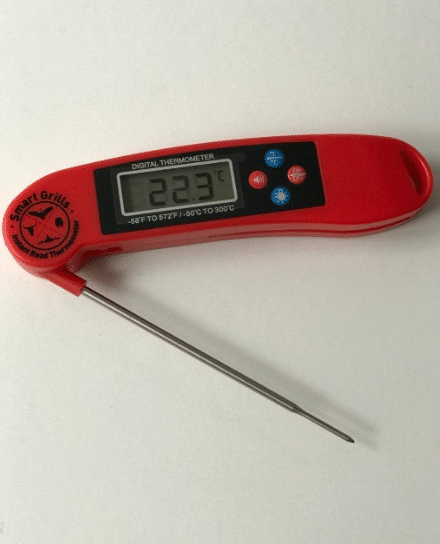 The digital food thermometer uses very simple design having a push button, a foldable probe which opens quickly and easily reads the temperature. Also, no worries if you forgot to turn the device down in just 10 minutes; the auto-off function will activate and conserve battery power. This ThermoPro TP03A review walks you through different exciting features of a food thermometer. The review will help you know all the technical specifications, different vital functionalities, and how choosing the ThermoPro food thermometer for your kitchen can add value and enjoyment to your cooking experience. A digital food thermometer is a very simple kitchen tool that can be used to get the exact temperatures of the food to prepare tasty dishes. This ThermoPro TP03A indeed will help you get that ideal perfect cooking time. By getting the temperature of food one can understand time to put food on flame or off it, to add a thing to it or to keep it still for some time. You never have to guess on that, touch your coffees, food, chickens, meats, pieces of bread, cakes, cookies, portions of pasta and what not all sort of foods can be monitored and prepared under right temperature conditions. This simple calculation of reading temperature will not only enhance the taste but also helps in keeping up the nutrition. The real highlight of the product is that every time you perform testing; it gives right temperature results. The reading never goes wrong. Anyone can use this brilliantly designed digital kitchen thermometer; even kids. It is not false stating that food prepared with the help of this instant-read cooking thermometer is not only delicious but also energize your body with its desired nutrients. The reason is that the food has been cooked inadequate temperatures. This meat thermometer never leaves you stressed about overcooked or undercooked meat dishes. It provides the right readings for your meats. You can easily detect the temperatures for meats and prepare fantastic meals on the go. You may not be a chef, but yet you can cook food like a chef now with a digital instant-read thermometer. It provides you with a practical solution to achieve the most accurate temperature just in seconds. 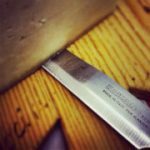 So get ready to improve your cooking skills instantly! Gain accuracy concerned with the temperatures for a variety of foods. Instant food temperature readings help you any situation like delay cooking time. Easy to manage and handle. Compatible to be used for all kinds of foods and can be taken to any place indoors and outdoors. Wireless connectivity further gives better accessibility for easy usage. Cuts off the guessing time to find out food temperatures. Uncooked food leads to many health ailments which could lead to seeking the doctors’ help. Your particular dish can get affected, or it may turn out to a full disaster the recipe you were trying to prepare, as not knowing temperatures can destroy taste and ingredients mix time. A situation could arise where either food can go raw or can burn, while you were trying to reach the in-between temperature of food. 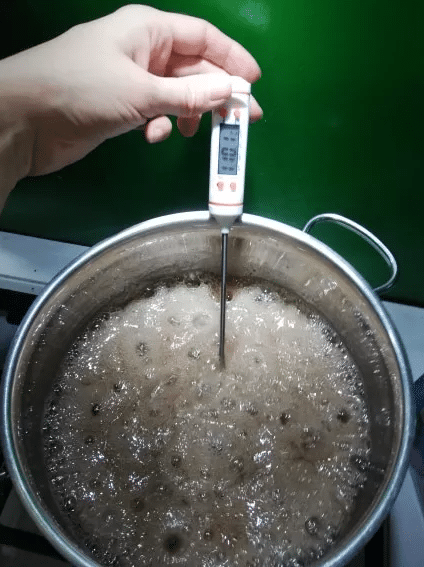 While the food is in between the cooking mode, only food thermometer can easily detect temperatures; you can’t go after burning your hands in a hot oven. Keeping a time into consideration is not going to save the food as the heat can never be calculated with time for the food. 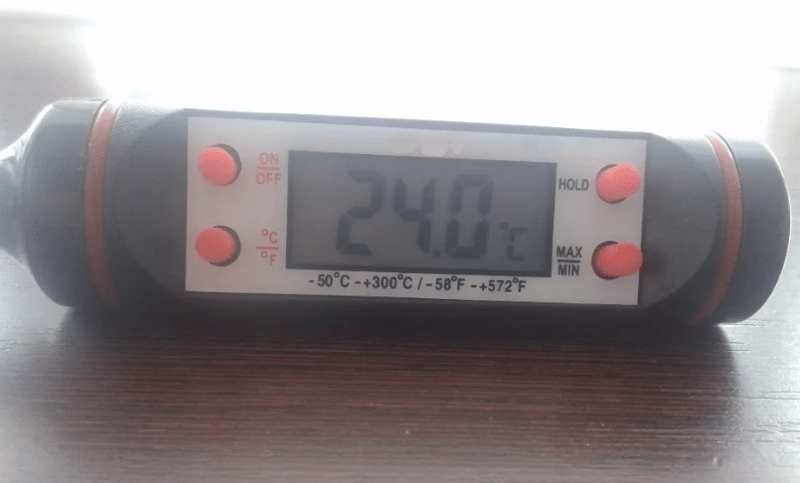 Who Can Use This Digital Food Thermometer? Today food thermometers are available online and can be used by everyone. Be it our regular household kitchens or whether you are preparing food for a big grand party by yourself or for your daily purpose cooking. Detecting right temperature is always handy as nobody like to have food that is uncooked. It would be best if you avoid overcooked food dishes. Big or small factory preparing food products rely on such food thermometers to detect exact food temperatures to avoid uncooked or overcooked food product packages. If you find a box of food with burnt taste and another with raw food how you’ll react? Yak isn’t it! So, these food thermometers are lifesavers for chefs busy in preparing different food items at big restaurants. The hotel industry is widely known to have these brilliant digital food monitoring thermometers in their kitchen to serve just that perfect dish to their customers. It’s efficient and fast reading system is very accurate in reading any food temperature in just 4 – 7 seconds. It has got ultra-clear screen LCD display for clear view LCD Display Size – approx. 0.52 H x 1.06 W inches. Its fold probe is portable and safe, easy to clean. It’s designed for battery power saving. Using simple battery – 1 x AAA battery. This Instant read cooking thermometer features 3.9″ food grade stainless steel probe which gets temperature readings within 4-7 seconds with high precision sensor. Easy cooking – Digital cooking thermometer with temperature range of -58°F ~ 572°F (-50°C ~ 300°C), accurately to ±0.9°F. It is perfect for indoor outdoor cooking, grilling, BBQ and many more dishes. Easy to manage – Kitchen Thermometer comes with foldable probe design that is easily foldable and locks into base for portability. Has a magnetic back and hook allows for a convenient storage? Brilliant design – Digital Meat Thermometer with auto-shut off reads and stays on for 10 minutes, which is powered by AAA battery (included) with Celsius/Fahrenheit switchable system. Make your dreams to prepare foods as a chef does in hotels or restaurants. With this ThermoPro TP03A review guide, uncooked or overcooked foods will never reach your plates. Be instant ready and secure for those exact flavours you want in your dishes. With the digital wireless food thermometer no more guesswork! Just knock out all the suppositions and cook delicious food for every auspicious occasion. ThermoPro wireless food thermometer is fairly geared up with the long probes and high-quality receivers that enable monitoring temperature instantly. This is all for ThermaPro TP03A, do write us for any other information and comment in the section below how useful this review was.